We are currently working on restoring the exterior ironwork of 3 Federal style buildings located in the Lower East Side of New York City. Please keep an eye out for our upcoming case study about this project. 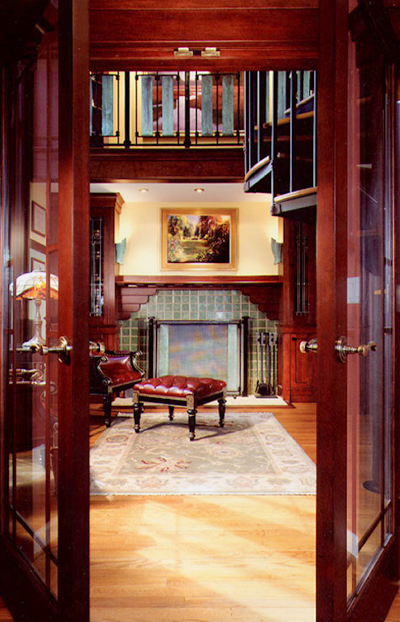 Images of an Arts and Crafts style interior staircase railing and fireplace screen that we created over a decade ago. As craftspeople, we continually seek ways to educate ourselves in various areas of metalwork. Recently, our head blacksmith, and tool enthusiast, Tim had the opportunity to take a week long course at the Adirondack Folk School under the renowned, and former Master Blacksmith at Colonial Williamsburg; Peter Ross. The class focused on creating box joints, a shape commonly used in 18th century tools such as sugar nippers, round nose pliers, scrolling pliers and rush-lights. Creating such a shape requires challenging forging techniques and processes. Once forged, the piece was polished, and finished. This type of work was typically completed by a Whitesmith. Below are a few images of Tim’s finished products. These are replicas of 18th century English style box jaw pliers. Pliers such as these were highly used in Colonial America and exported throughout the world. 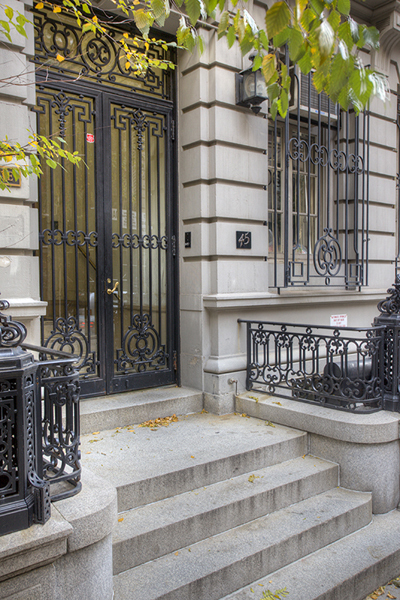 Here is a photo of a restoration that we completed on a historic Lenox Hill residence. This project included the restoration and refinishing of the location's original 120 year old exterior fencing, newel posts, and gates. To learn more about this project, please click on our “Case Studies” page. Once the design process is complete and the drawings have been approved by the client, the fabrication process can begin in our studio. 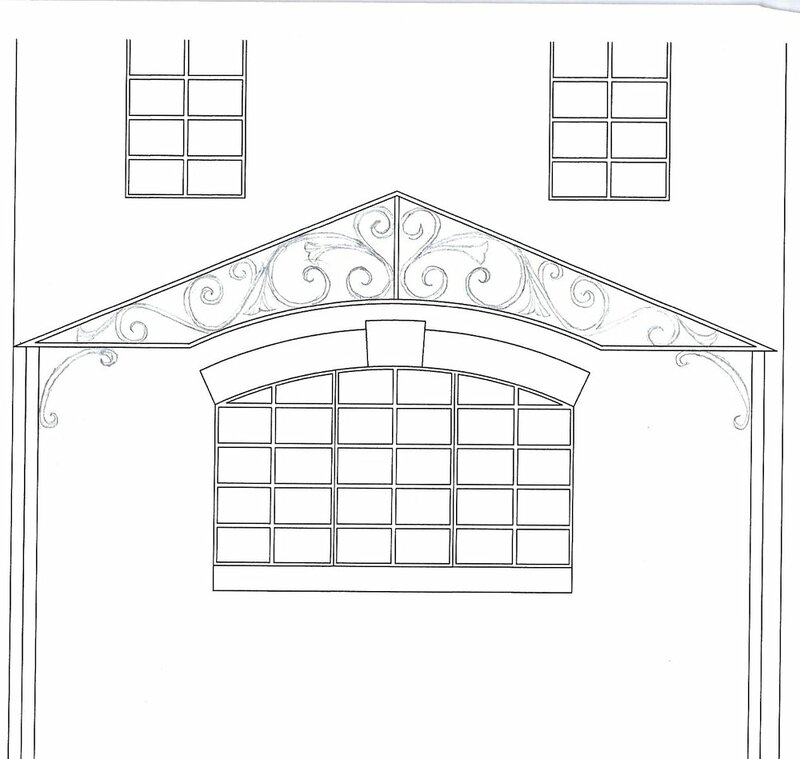 The first step is creating a cut list of the metal stock that will be used in the construction of the pergola. Once the pieces are cut and shaped, they are laid out according to the shop drawings and checked to ensure that all dimensions are correct. When fabricating a project where there will be more than 1 of a piece, we will create a jig that can speed up the process. A jig is a large brace that keeps a welding project stable in the face of pressure, heat, motion, and force. A quality jig will streamline welding work by keeping parts together in a vice grip. This ensures uniformity throughout the construction. The pieces are then prepped, and tack welded. Before fully welding the trusses together, they will once more have the dimensions checked for accuracy. After the welding is complete, and depending on the level of required finish, the welds will be ground and sanded to a specific standard set by our shop. Shown here, is one of two decorative ginkgo trusses complete and ready to be painted. This pergola will be finished with a flame spray zinc metallizer to prevent rust, and then powder coated in the client’s color of choice. This combination creates a finish that will last for decades. Here is the completed top of the pergola mocked up at our shop to be receive final approval before it’s sent to be metalized and painted. Once we receive the powder coated pieces, our last step will be installation by our talented crew. Please keep an eye out for Building a Custom Pergola PT. III; the installation process. Our beautifully designed and executed ginkgo-leaf inspired pergola is now in its home. This striking architectural structure now covers our client's outdoor terrace and will surely be a topic of conversation during their next gathering. Please keep an eye out for part II of our next case study; "Building a Custom Pergola-PT II of III: the fabrication process"
Here are some images of a fun interior project we completed for a local resident. Our client wanted to embellish his wine cellar door with a custom grapevine inspired panel. The end result was quite beautiful!